Who Should Receive a 1099-MISC? The Internal Revenue Service, or IRS, requires businesses to file informational returns reporting gross proceeds paid to unincorporated taxpayers. 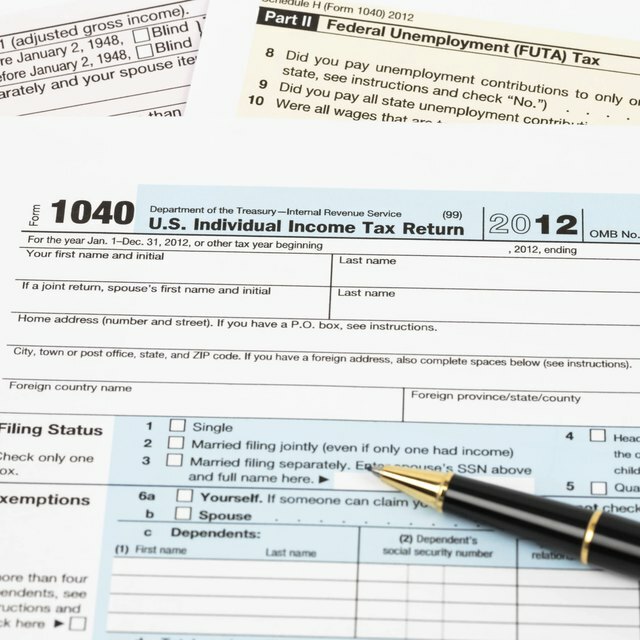 Form 1099-MISC is one of the most common informational returns. The IRS uses these returns to track income received by unincorporated taxpayers in an attempt to thwart income underreporting. To avoid unintentional underreporting of income, you should know who is subject to informational reporting. You must postmark any form 1099-MISC you issue by 31 January, except when it falls on a weekend, in which you will have until the following Monday. The taxpayer should receive copy 2 to file with her state taxes when applicable, and copy B for her records. The IRS receives copy A of form 1099-MISC, which is required to be postmarked by March 1, except when it falls on a weekend, in which you will have until the following Monday. The IRS does not require taxpayers to submit a copy of form 1099-MISC with the annual income tax return. Rent payments not associated with personal payments are reportable transactions. Examples include your business renting space, equipment or other assets, for gross payments of $600 or more, paid to any one vendor. Gross rental proceeds are reported in box 1 of your form 1099-MISC. Physicians and other healthcare providers paid more than $600 or more from your business, in a single tax period, receive form 1099-MISC with gross proceeds reported in box 6. Legal services rendered by attorneys require informational reporting of gross proceeds in box 14 of form 1099-MISC. Individuals and unincorporated businesses receive form 1099-MISC for services performed. Individuals receiving services are not required to furnish informational returns to service providers. Taxpayers working on fishing boats receive form 1099-MISC reporting their share of catch income reported in box 5. There are no minimum gross proceeds required to report fishing boat income. Non-employee individuals and unincorporated businesses receiving proceeds for services rendered are subject to informational reporting. Non-employee compensation is the most common income reported on form 1099-MISC, with gross proceeds reported in box 7. Businesses paying proceeds to individuals and other businesses report income on form 1099-MISC, in box 3. These proceeds include winners of prizes, awards and sweepstakes, punitive damages and other income not from services rendered. Report cash values; however, if the payment is not cash, report fair market value at the time of the payment. Farmers who receive monies from insurance companies receive a form 1099-MISC. Gross crop insurance proceeds of $600 or more in a single tax period, report in box 10. Jeremy Slaughter began writing business and hobby articles in 2009 after completing his master's degree in accounting at the Keller Graduate School of Management. As a tax, accounting and small business expert, Slaughter co-founded an accounting and tax firm where writing plays a daily role.